Content: What is SEO (Search Engine Optimization) and why it’s important to your business. This is the third in a series of five workshops. Each seminar is designed to build from the next. Any small to mid sized business owner who has the need to gain momentum for their business. 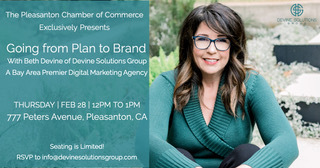 RSVP directly to Beth at beth@devinesolutionsgroup.com.